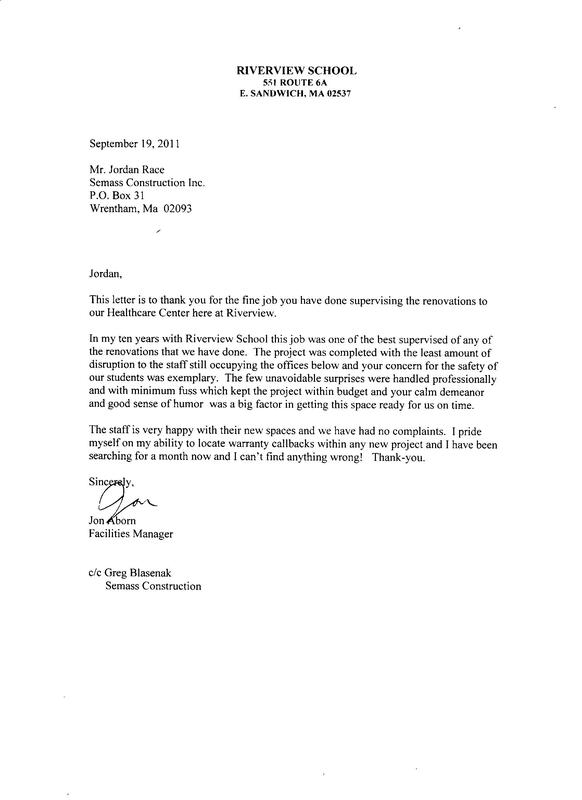 This letter is to thank you for the fine job you have done supervising the renovations to our Helthcare Center here at Riverview. In my ten years with Riverview School this job was one of the best supervicesd of any of the renovations that we have done. The project was completed with the least amount of disruption to the staff still occupying the offices below and your concern for the safety of our students was exemplary. The few unavoidable suprises where handled professionally and with minimum fuss which kept the project within budget and your calm demeanor and good sense of humor was a big factor in getting this space ready for us on time. The staff is very happy with their new spaces and we had no complaints. I pride myself on my ability to locate warranty callbacks within any new project and i have been searching for a month now and I can't find anything wrong! Thank-you. 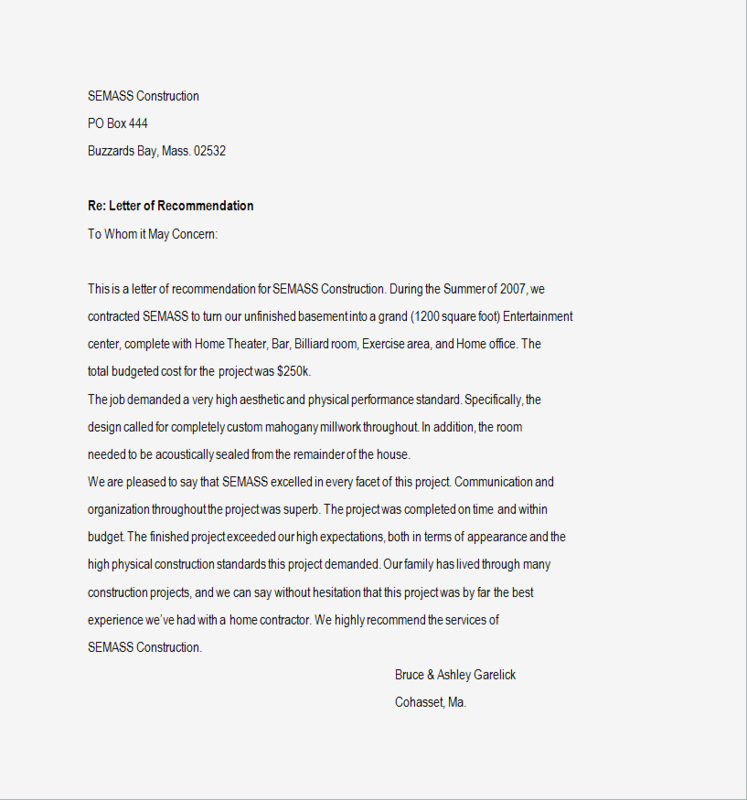 This is a letter of recommendation for SEMASS Construction. During the Summer of 2007, we contracted SEMASS to turn our unfinished basement into a grand (1200 sqaure foot) Entertainment center, complete with Home Theater, Bar, Billiard room, Exercise area, and Home office. The total budgeted cost for the project was $250k. The job demanded a very high aesthetic and physical performance standard. Specifically, the design called for completely custom mahogany millwork throughout. In addition, the room needed to be acoustically sealed form the ramainder of the house. We are pleased to say the SEMASS excelled in every facet of this project. Communication and organization throughout the project was superb. The project was completed on time and within budget. The finished project exceeded our high expectation, both in terms of appearance and the high physical construction standards this project demanded. Our family has lived thorugh many construction projects, and we can say without hesitation that this projet was by far the best experience we've had with a home contractor. 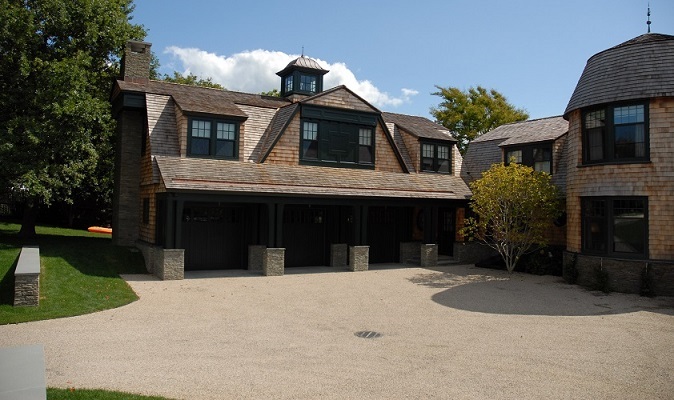 We highly recommend the services of SEMASS Construction.